Our mission is to improve the safety, security and convenience of buildings in the communities we serve. 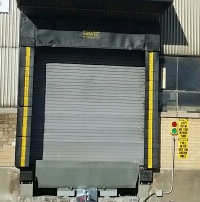 We fulfill this mission by installing, maintaining and servicing all types of door, loading dock and security systems. We have been serving customers since 1926 and today our services are offered nationwide with emergencies handled promptly – anytime, day or night. At DH Pace we strive to create customized solutions to match your needs. Whether you are a health care organization, a general contractor, or a government municipality we have the ability to help you design and create a mixture of products and solutions to match your needs, your facilities, and your budget. DH Pace is the premier service organization. See why you should join our team today! DH Pace is committed to creating a vibrant and positive environment for all our team members.